Dealing with the past is always a complex endeavor and it is particularly difficult when gross human rights violations are involved that are carried out during war or armed conflict. Truth commissions have become a standard response to address such a difficult past in the hope to provide voice to victims and provide a path to a non-violent future. Being part of the transitional justice toolkit, truth commissions are aimed to satisfy the rights of victims to truth and symbolic reparation. This book analyzes five case studies: two in Latin America (Guatemala, Peru), two in Africa (Kenya, Sierra Leone), and one in Asia (Timor-Leste). The final report and its recommendations are critically evaluated, taking into account their impact on truth, reconciliation, memory, and justice. 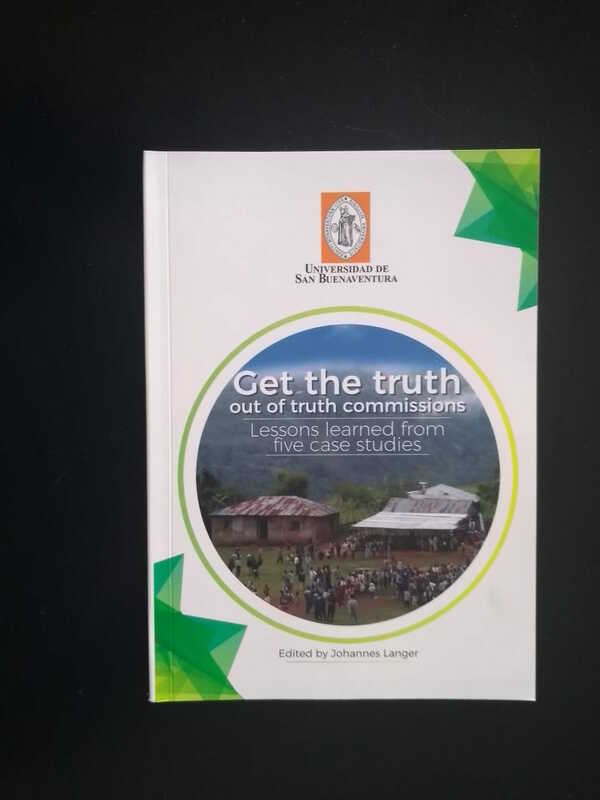 The aim of the book is to get learning for other truth commissions and specifically for the truth commission in Colombia that is currently in the process to be set up. Written for students of transitional justice and policy makers, this book hopes to contribute to a more critical reading of this transitional justice body while recognizing the contentious space they are operating in. After three years working on this project, it is a real pleasure to present the book to you and I want to thank the two other contributors to the chapters about Guatemala (Pedro Valenzuela, Javeriana) and Peru (Miguel Barreto, Tadeo). I also particularly want to thank Editorial Bonaventuriana for their kind support. You can download the book for free on ResearchGate.